1999 Wakeboard Binding System Patent invented by Gregg Vukelic. 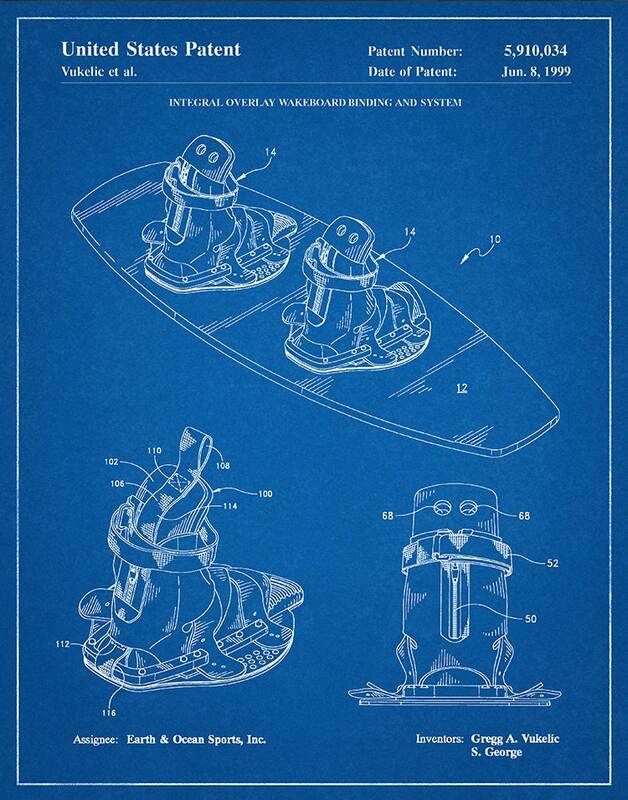 The patent was issued by the United States Patent and Trademark Office on June 8, 1999. 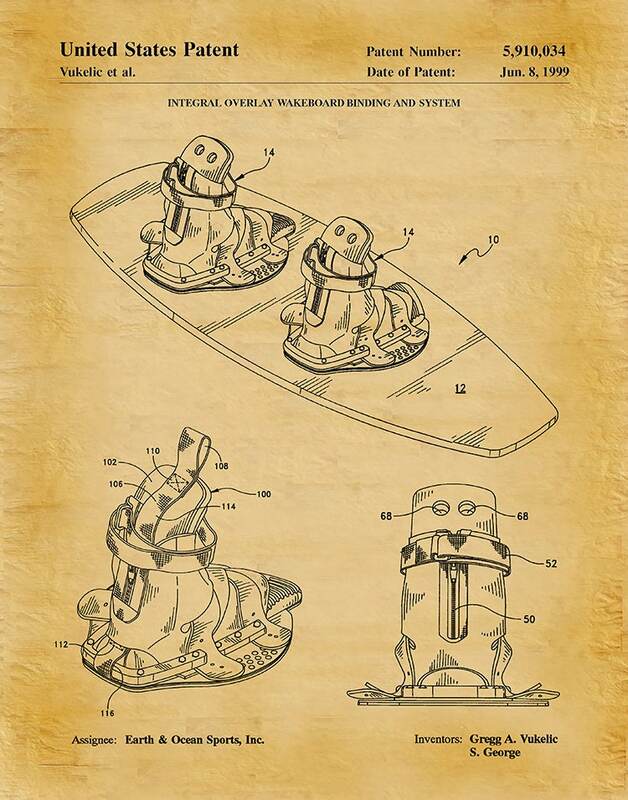 All patent print and illustration pages are meticulously restored and digitally enhanced to remove as many flaws as possible while maintaining the integrity of the original document. 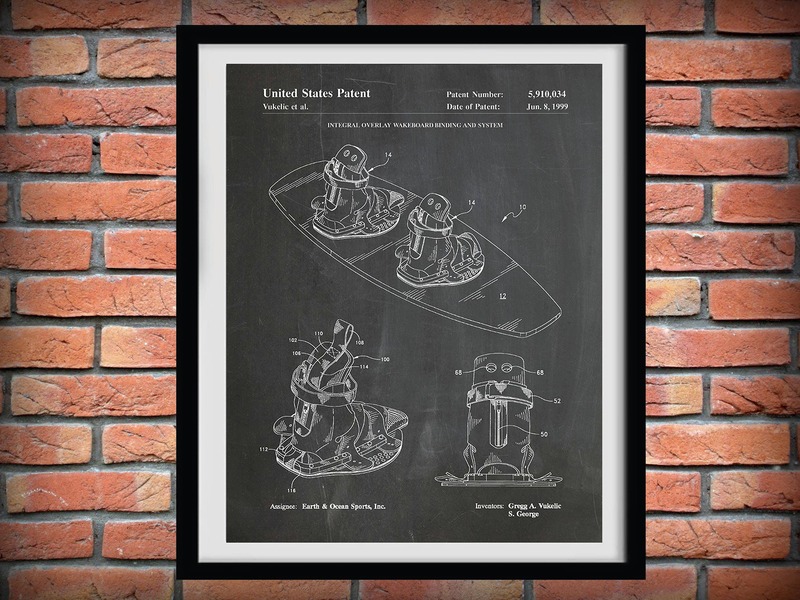 These fine art prints are a wonderful way to own a piece of history featuring your favorite inventions or hobbies to be proudly displayed in your home, office, business, man cave or camp. All prints and illustrations are printed on archival heavyweight matte paper using Epson Ultrachrome K3 Pigment ink that will last over 100 years. Select size and color from the drop-down menus. The print you receive will be high quality, printed on acid free, 60+ lb matte or 68 lb luster photo paper at high resolution. All images shown are purposefully lower quality (72dpi) for faster upload speed and to prevent others from duplicating my work. Computer monitors may vary in color calibration, therefore your print may have a slight difference from what you see on your screen. All orders ship in a clear protective sleeve that is inserted into a rigid envelope or tube to ensure safe delivery to your home or office. Fast shipping! Cannot wait to give for a X-Mas gift.